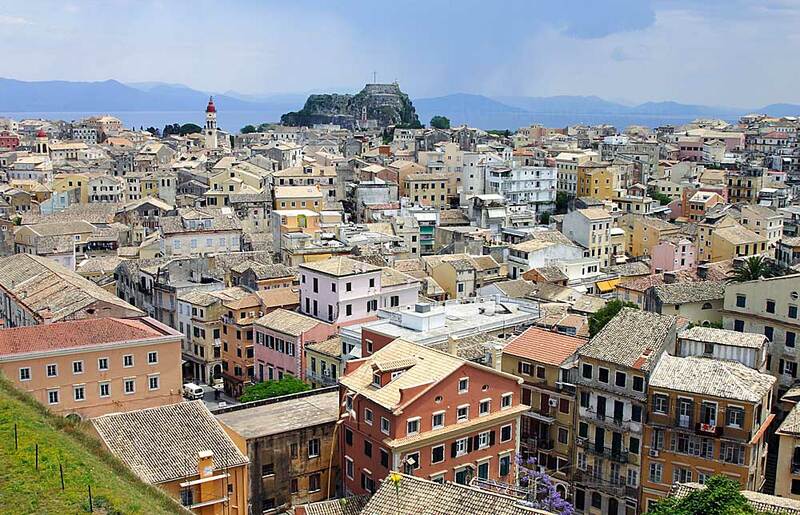 The history of Corfu Town's Old Fortress (above) dates back to the mid-6th century AD when the ancient settlement on the Kanoni Peninsula was destroyed by Barbarian incursions. 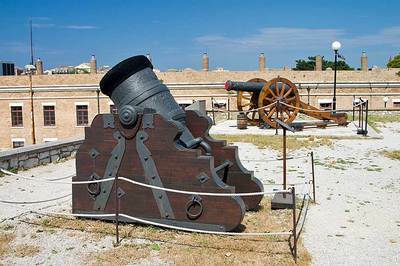 For security, the inhabitants gradually began to occupy the twin-topped, naturally-fortified peninsula where the stronghold now stands and the city continued to grow beside it. 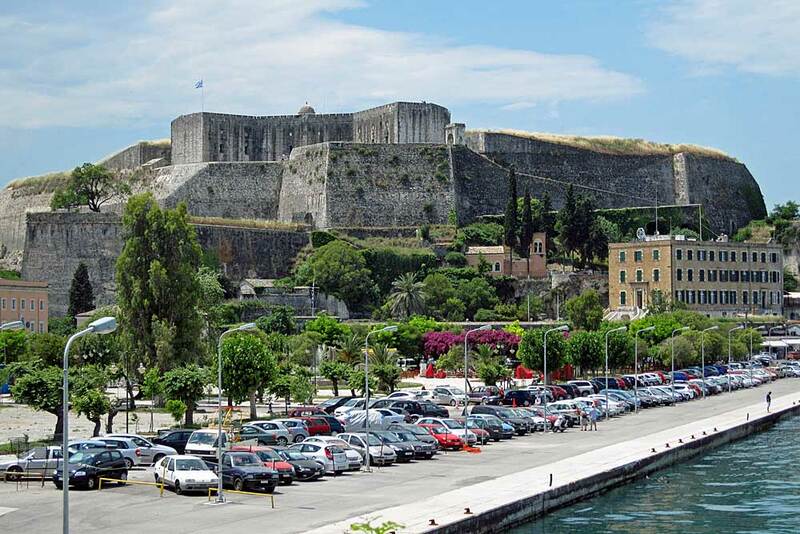 The Byzantines initially walled the peninsula and built towers on both peaks but the majority of the complex that survives today dates from the period (1386-1797) when the Venetians ruled the island. 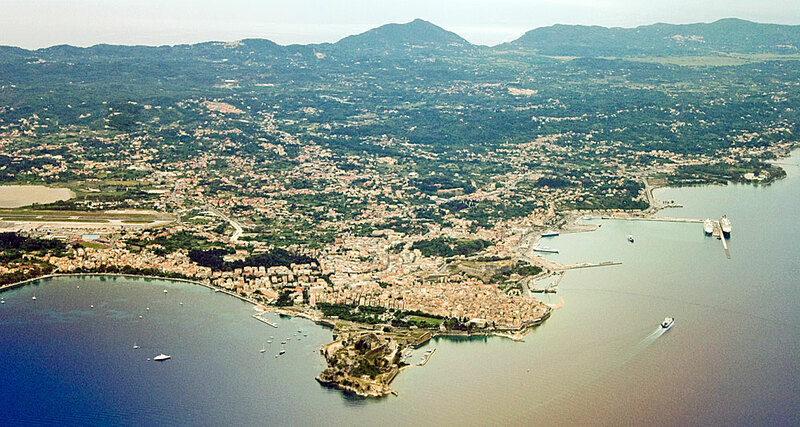 At the end of the 14th century, Corfu was annexed to the Republic of Venice and became one of its major military bases on the Adriatic coast, enabling them to control Eastern Mediterranean trade routes and counter enemy naval activity. 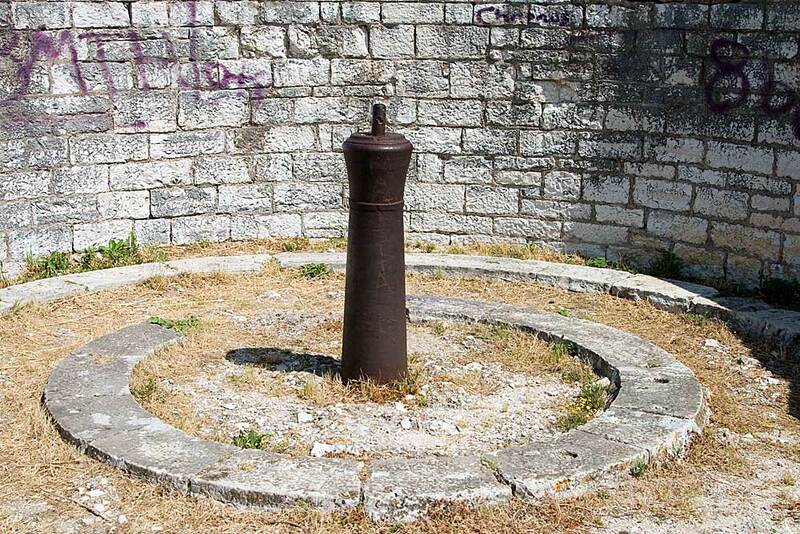 In the 15th century, still during the Venetian occupation, a channel was dug across the peninsula on which the fortress stands to create an island, considerably improving its defensive capability. 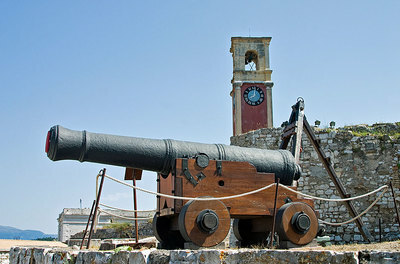 Additional defence works carried out included the construction of Mandraki harbour (below) on the Old Fort's northern side, towers, and a cleared area free of trees and buildings in front of the moat to create an open field of fire for artillery. Nowadays, a small marina lies on the far side of the Fort. 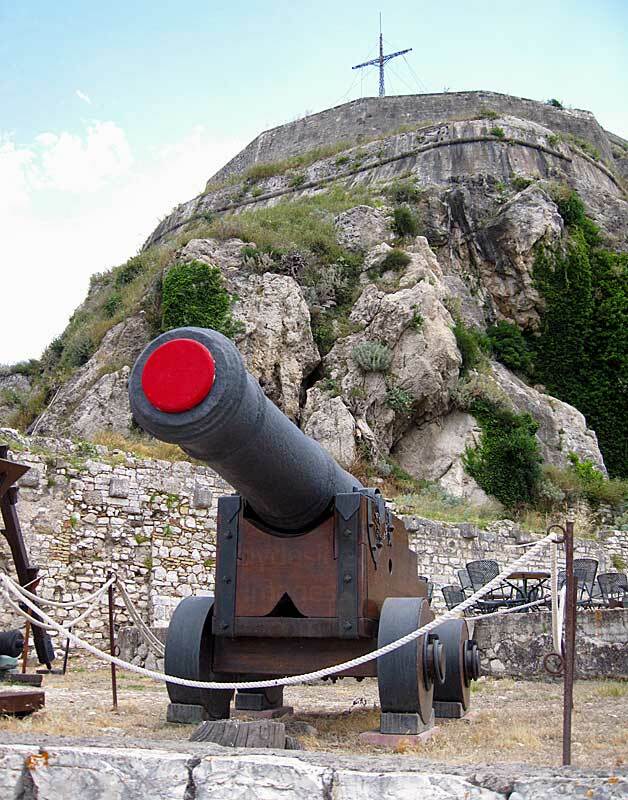 In 1537, the Fortress held out during a long siege by the Ottoman Turks who unsuccessfully attempted to wrest control of the city again in 1571, 1573 and 1716. 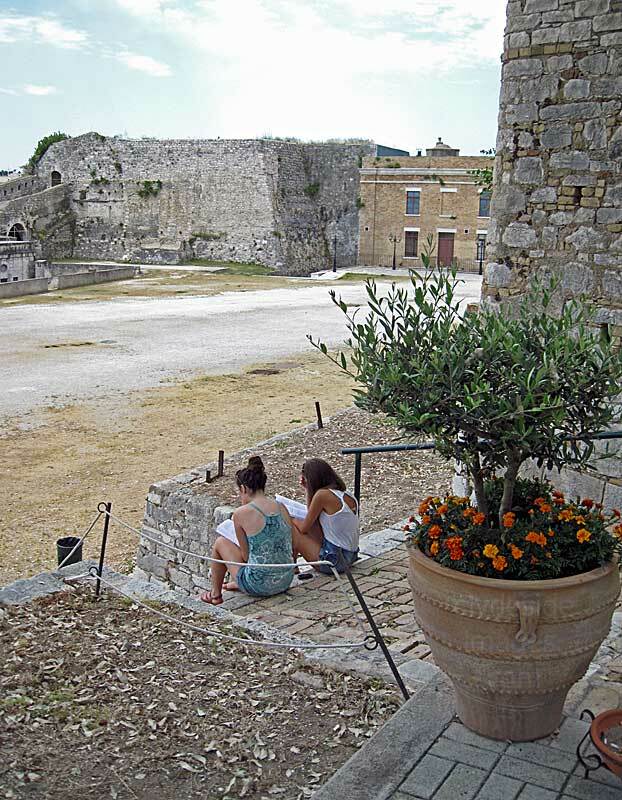 Today, visitors enter the Old Fortress via a metal bridge, which replaced the old draw-bridge over the Contrafossa, or moat. Two statues, including the one above, stand nearby. This figure is Johann Matthias von der Schulenburg (1661 - 1747), a German aristocrat and general of Brandenburg-Prussian descent who served in the Saxon and later Venetian armies. 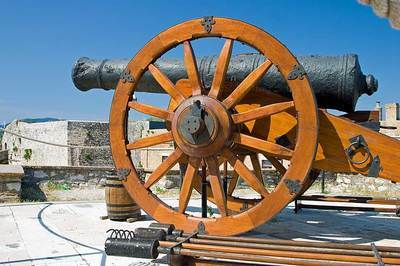 In 1716, he successfully defended Corfu during the siege by the Turks. For his efforts he was honoured with this statue and a pension of 5000 ducats a year. A Vivaldi opera, Juditha Triumphans, was commissioned in celebration of his victory. The view westward from the bridge over the moat and, below, the east side. Owners of small boats keep their craft in the sheltered waterway below the castle walls. ​Corfu became a British Protectorate in 1815 and they carried out further upgrades to the defences. 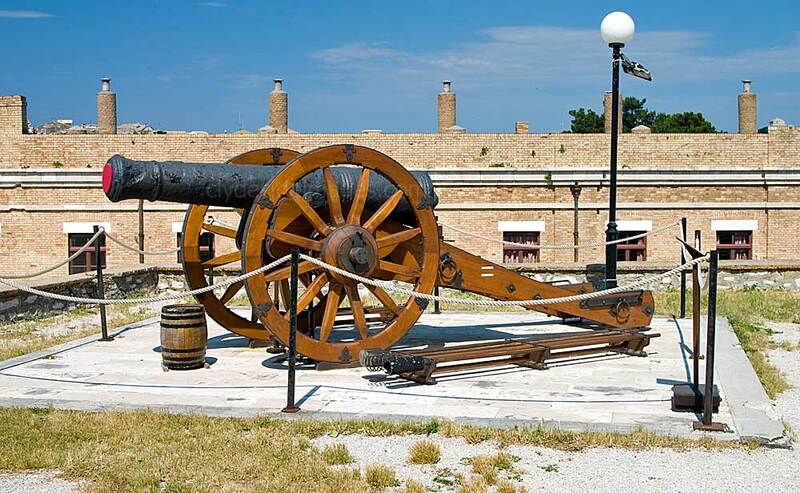 Before the British handed the island back to Greece in 1864, they demolished many of the Venetian buildings. One condition of the transfer was that Britain could still use the port of Corfu as a naval facility. In 1941, when Axis forces occupied Greece, most of the the Ionian Islands including Corfu were handed over to the Italians but by 1943 the Germans were in charge. By 1944, most of the islands were under the control of the left-wing EAM/ELAS resistance movement. 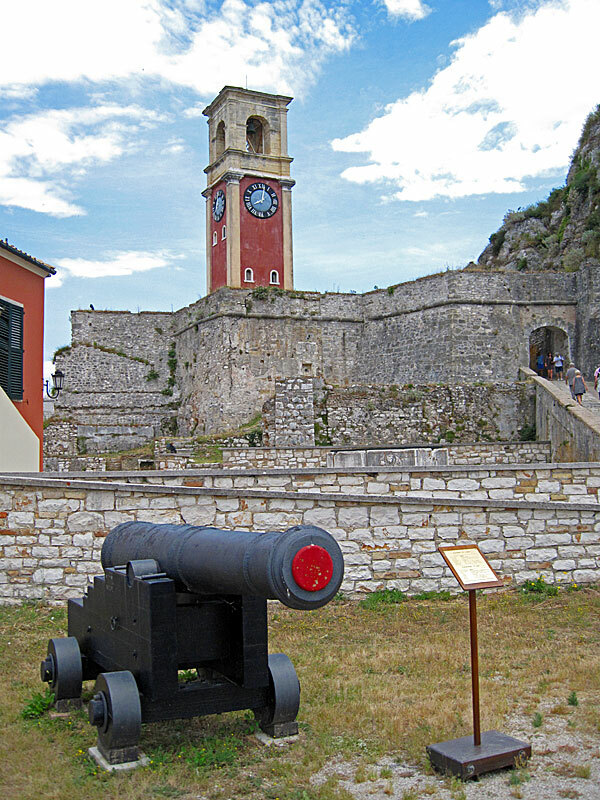 The 129 metre-long, two-storey British Army Barracks is the largest building within the Old Fortress. 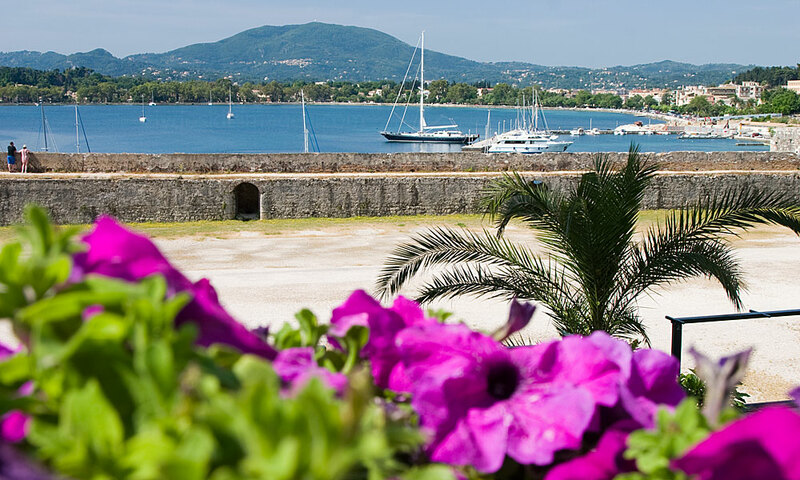 Its construction began in 1843 on the site of a Venetian arsenal and it currently houses the General State Archives and the Municipal Library of Corfu. 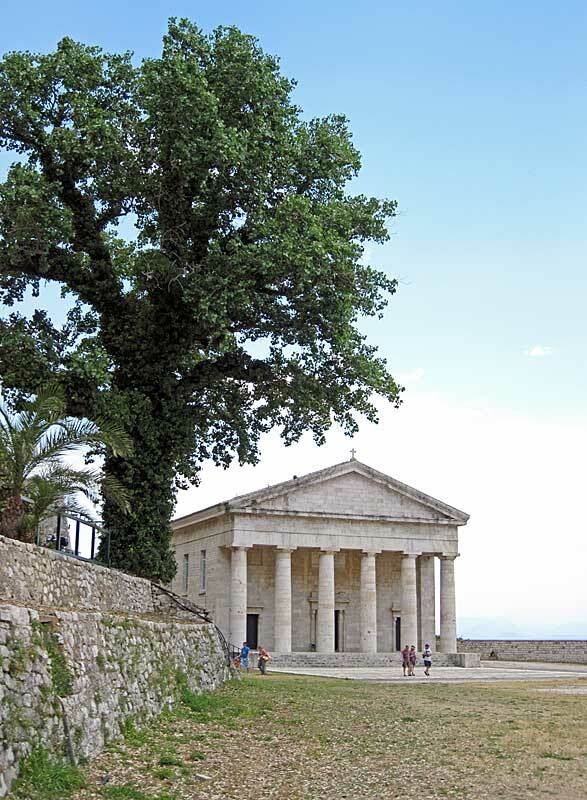 Construction of the Church of Saint George began in 1840 when Corfu was a British Protectorate (1815-1864). When they withdrew in May 1864, the Old Fort`s Anglican church was converted into an Orthodox place of worship.